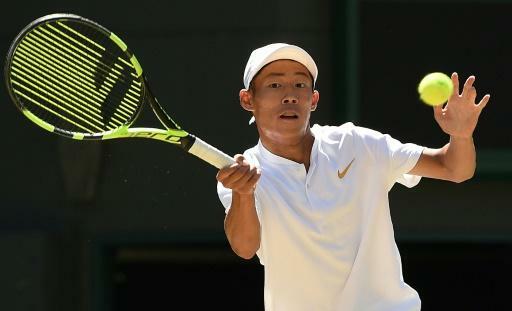 Taiwan's Tseng Chun-Hsin won the Wimbledon boys' title for the first time on Sunday as the 16-year-old claimed his second junior Grand Slam crown this year. Tseng ended Jack Draper's bid to become the first British winner of the Wimbledon boys' singles title in 56 years with a 6-1, 6-7 (2/7), 6-4 victory on Court One. Tseng, the world junior number one and top seed, won the French Open boys' title last month and finished as Australian Open junior runner-up in January. Tseng, already up to 601 in the senior rankings, had raced away with the first four games before Draper got on the scoreboard. Draper, who spent four hours and 24 minutes overcoming Colombia's Nicolas Mejia in the semi-final, grabbed a break of serve early in the second set. Tseng broke back but the momentum was with Draper and he charged through the tie-break to take the match into a decider. Draper, the son of former Lawn Tennis Association chief executive Roger Draper, riled his opponent with a dance move at the net after breaking back for 4-4 in the third set. But it was Tseng who grabbed the crucial break to lead 5-4 and he sealed his triumph with a gutsy second serve ace.